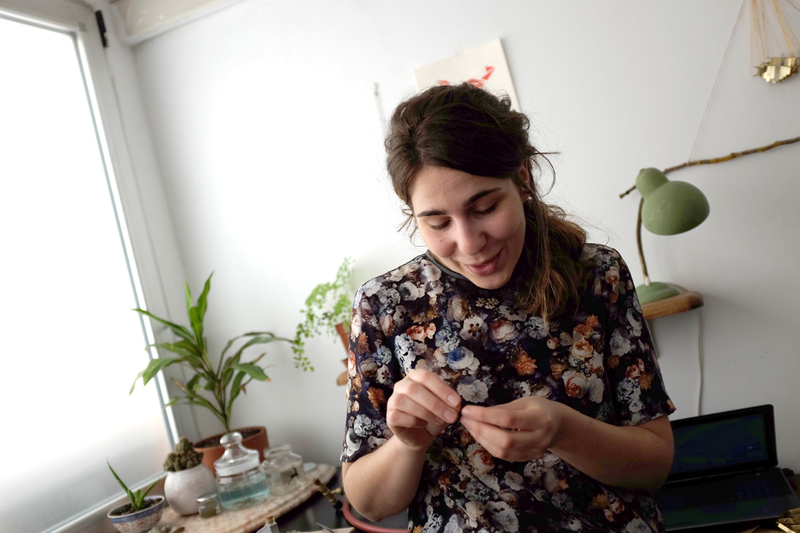 Before summer I went to visit Celia Gayo in Madrid, she waited for me at her studio-apartment, everything as tiny and cute as her fabulous jewellery work in MIGAYO. 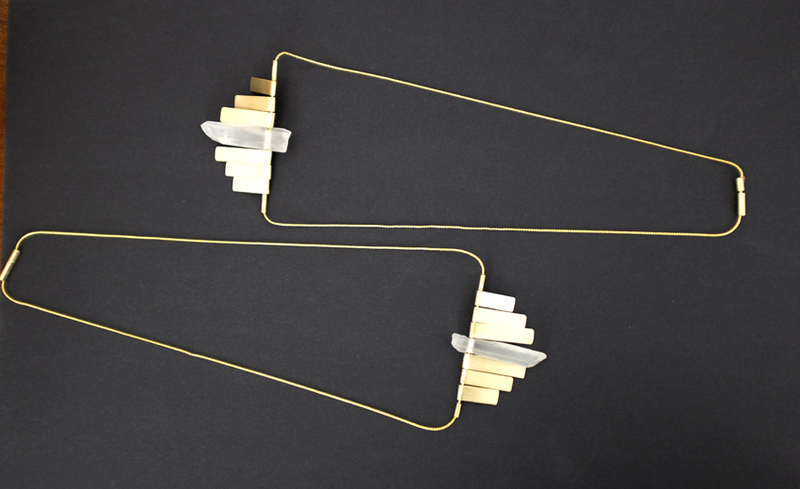 She talks about her and her fantastic pieces..
Celia, why jewellery after having finished a degree in Architecture? There are many ways of thinking Architecture, and the one I’ve always liked the most is the content one, with a justified minimum answer based on details, not so much the magnificent works with huge shows. In my final degree project, which was an ideal project for me to do, I already experimented with this world of details, planning a building which grew along the time by a series of different pieces anchorage in different positions. 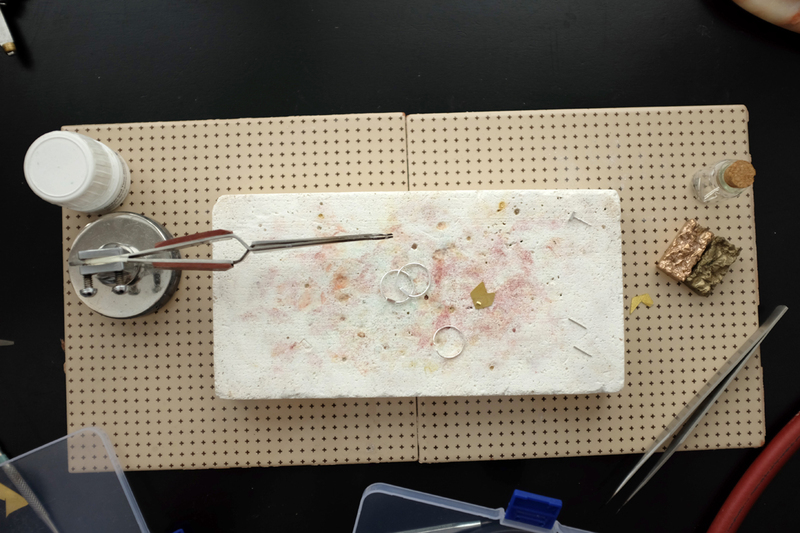 The most important part was designing the mechanism, its joints… beginning from the smallest parts in order to make it grow. 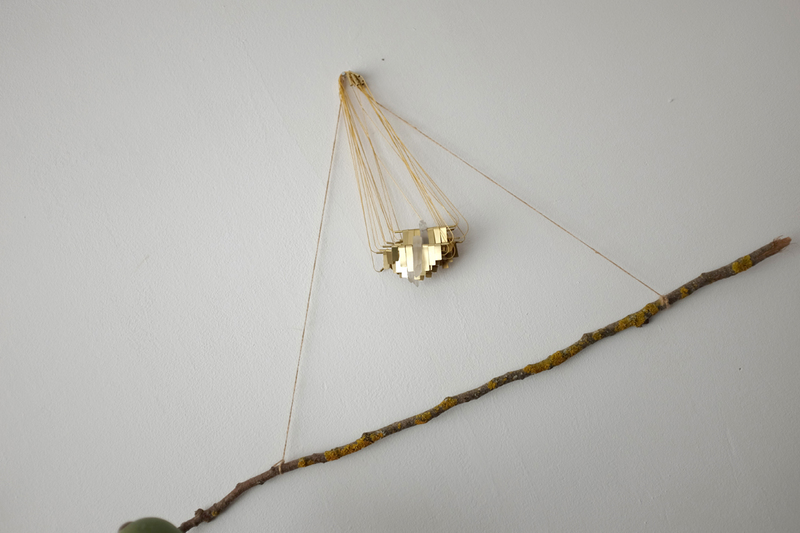 This is just a look into Architecture, but it also can be applied to jewellery and I love that. 5. 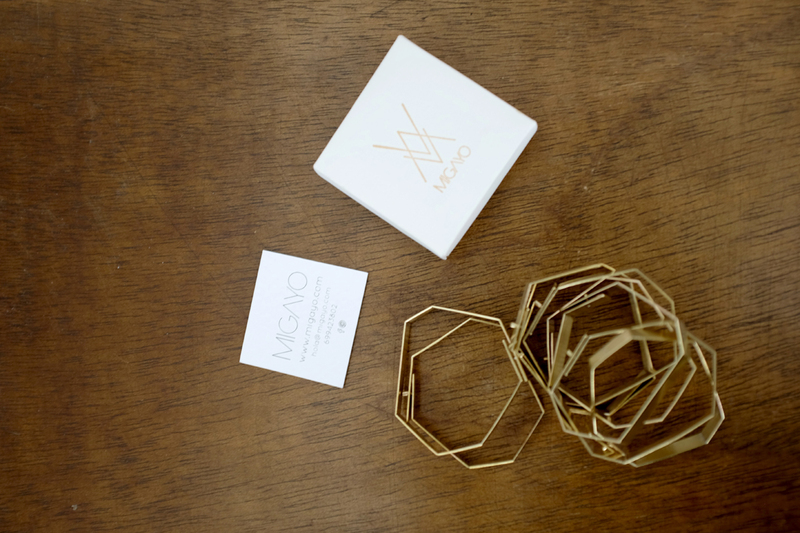 How do you express your architectural knowledge through your jewellery brand MIGAYO? 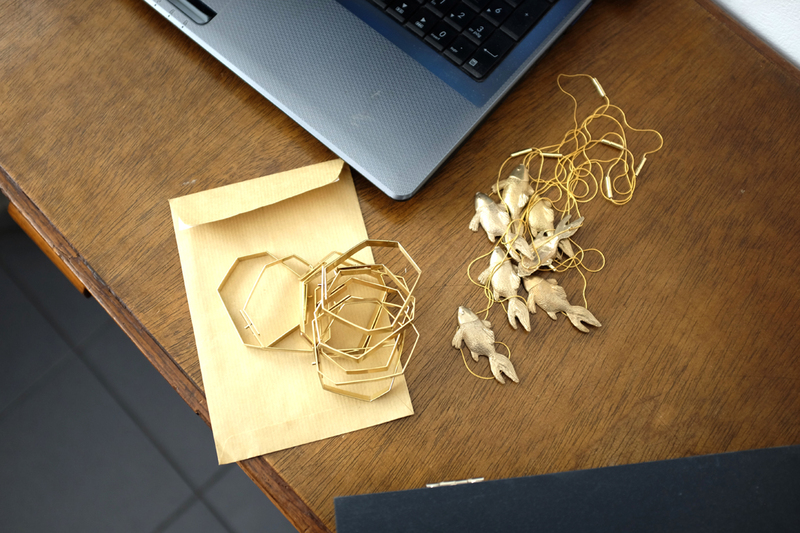 Architecture and jewellery have one thing in common which is that they are both used. They are at the service of people so their shape must be coherent with their needs. My philosophy is that beauty is a result of finding solutions in a smart and simple way. The multi-faced bracelet is an example of this way of working. Its form is pure and minimalist, its folding angles flow with the wrist shape, working or writing while wearing it much easier. Its closing system is included in the design, it’s not an extra element and it’s designed by using metal tension. This simple element is in harmony with the entire piece and becomes the focus of it. 6. What is your inspiration for designing your collections? The material? The shape? The colour? It has more to do with the structure. For instance, in “Organisms” collection I play with natural, organic and soft shapes cut in the wax blocks, that I afterwards melt into metal moulds. In “Minimum” collection, the silver thread allows me to shape and add details… Right now, I’m exploring the metal tiles folding which will end up in another collection. Are you inspired by any designer in particular? I usually check on relevant jewellers work such as Kazumi Nagano or Giovanni Corvaja, whose pieces have an apparent simple balance, while hiding a complex perfect technique. I also search for inspiration in other fields of activities like industrial design or even architecture. I always find inspiration by going through the history of jewellery. In the past, a piece of jewellery had a significant symbolic power, meaning protection, hierarchy or membership in order to make a difference. I often write some opinion pieces on my blog about Etruria jewellery, classical Greece or Art Nouveau pieces. 5. What is your ideal dream work you could see yourself having in five years from now? I’d love to keep a balance between made-to measure jewellery and collections like I do have right now. I’d also like to have a list of clients that would allow me to build all the pieces from a collection in noble metals (silver, gold and platinum). Actually I make each piece in silver or brass, gold is only used for special orders. 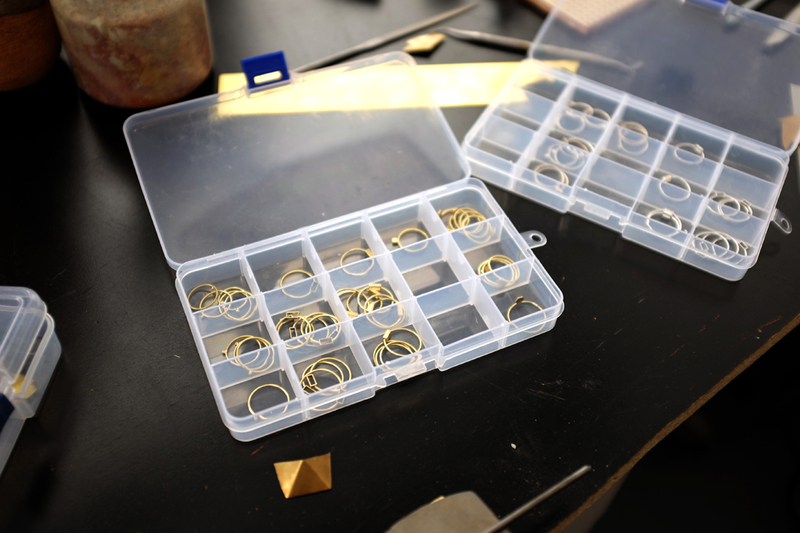 Is “made-to measure” for special orders the best way of expressing yourself in the world of jewellery? It does for me. Adapting the piece to someone’s needs and personal background brings out a different and complex creative thinking, which I really like. Besides this symbology I was talking about earlier; the meaning of this kind of jewellery is powerful. For you, what does a piece of jewellery have to express? I think that a piece of jewellery goes with the person and it must be coherent with their style because it’s the key element that defines it. The way we express ourselves through our aspect is quite curious. How do we choose the clothing, shoes or complements that we wear in order to be comfortable and transmit a determined image? You need all the elements; depending on your likes and dislikes you might chose one pair of shoes among others, but you’ll definitely wear them because you need to. On the other hand, jewellery is a special element, wear them or not, it’s optional. Their symbolic meaning helps you to express yourself and to make you feel nice and comfortable with them. Are your pieces made for all kinds of hands? All kinds of people? Or are you thinking of a certain personality? 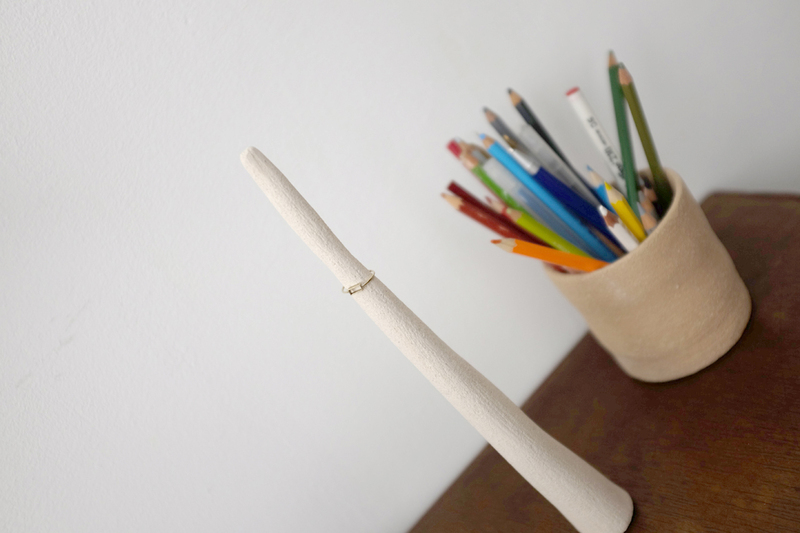 My pieces are simple and delicate; they create focus of attention to those parts of the body. 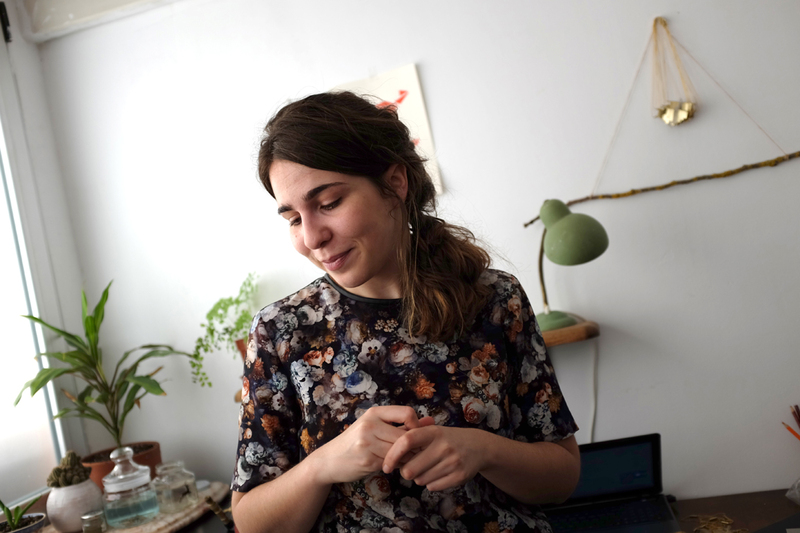 They aren’t the main characters, so it could be said that they are thought for people who don’t hide behind big pieces of jewellery, but rather search for what’s natural and handmade. I search for happiness, an effortless sensation and that also happens with colour. I like a natural colour palette, with earth tones, metal tones, and untreated gems… I try to keep away from stridency in shape, so also in mechanisms and in colours. You design the pieces and you also build them…did the learning period take you a long time or is it in constant evolution?? Previous knowledge is needed. But after reaching them, it’s a perseverant individual evolution in which you learn and even develop techniques from your needs and your jeweller style. This is a very interesting period, refining building solutions that might have failed in the prototype piece. How does the fabrication process go about? Knowing how long it takes you to make a finished piece is highly important in order to fix the final price rate. On one hand, there is the design process length, tests and models, which I don’t measure because it might be irrepressible, but on the other hand, I do for the fabrication process. I try to measure each part of the process, however, this is a hand-made production and you must be aware of the existence of possible mistakes that can delay you and pieces that might sometimes break. 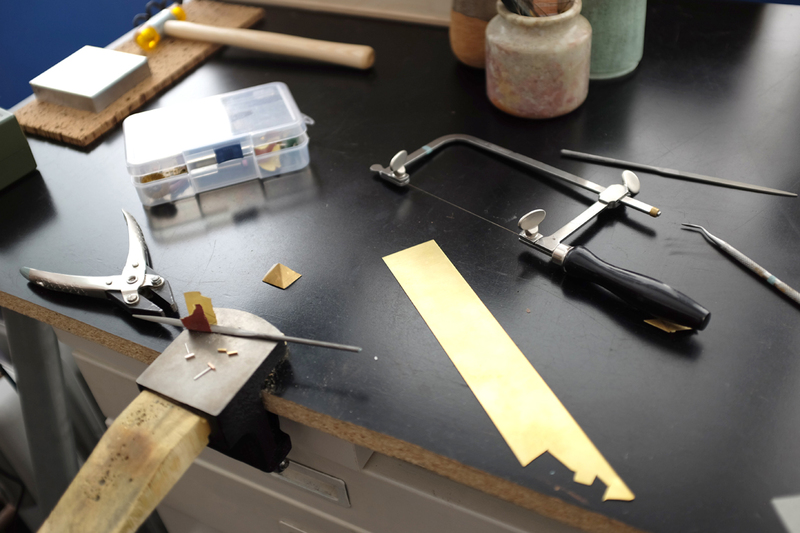 Mainly in jewellery, working with valuable tools and pure materials, you have to work quietly and carefully, forgetting a little bit about the timetable. Each piece is unique; do you name them or mark them in any way? I should have a better system to name them, actually. The official name is how I call them through the design process. Unresolved task! The worst one was the incertitude before I decided to take the plunge. The best one was meeting somebody in the street wearing a piece of jewellery that I had hand-made. 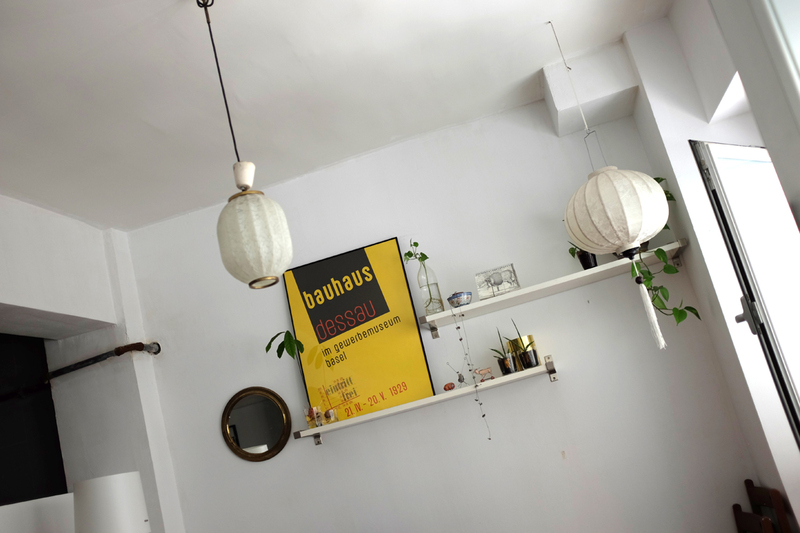 Would you like to make a collaborative work with any designer or artist? Yes, of course. I think joining forces between different disciplines is something creative and rich, so I’m open to any possibility. I find there is a big relationship between jewellery and clothing to defining somebody’s style. I’d love to do a collaborative work with a fashion designer like Jorge Acuña or Amaya Arzuaga. What would be your ideal order? Those pieces that go with a special moment in somebody’s life are the perfect types of orders. 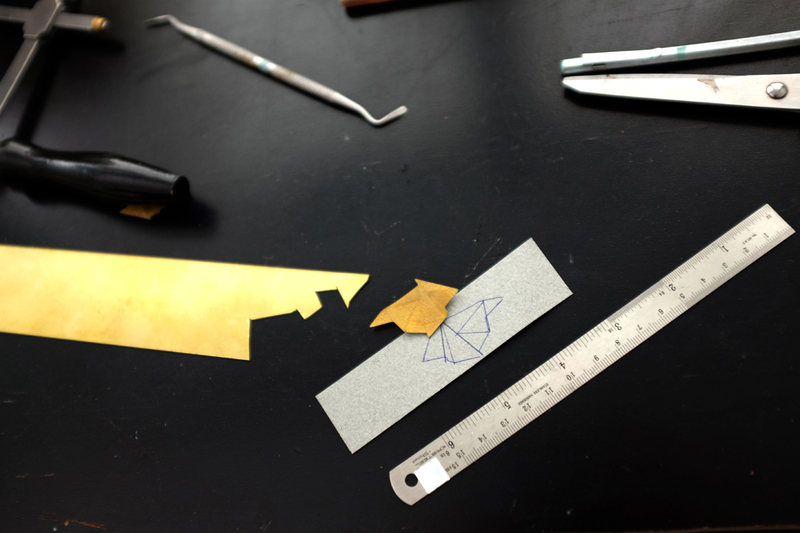 The design process is even more beautiful when you know that the piece is attached to a feeling or experience. What are the toughest and the best aspects in your work? The one I like the most is the handmade part, being quiet at my workshop working with the pieces, mainly with prototypes, doing research and trying to stay true to the original idea I had in mind. The hardest aspect is finding where MIGAYO takes place, how my brand should appear while still keeping its essence. Is there something that scares you right now? I’m afraid of bad reviews of my pieces. I know this is something you have to take for granted, you cannot satisfy everyone; however, this is something quite personal because it’s your idea, your design and your manufacturing. Is there something you would repeat even if it was nonsense, let’s say just for the experience? Moving to Kuala Lumpur. While I was working on my final degree project, the opportunity of moving there to work at an architectural office for a year came up. Moving alone to a country that I didn’t know anything about meant a stop in my career and in my degree (in fact, after coming back I restarted my final project). At the beginning it was quite hard, but it turned out to be a unique professional experience in terms of personal gain of knowledge, it allowed me to stop, think and take a look. I met wonderful people completely different from me; some of them had gone there in order to radically change their lifestyles and others were natives from all different cultures from Malaysia. What is it like to take part in design markets and fairs like Mercado Central del Diseño in Madrid, in Matadero Madrid? This is a really good experience, these kind of events are perfectly organised, give you visibility and let you meet other designers whose work is highly interesting and full of illusion. That is very helpful.